When you think about your average single malt whisky, it can involve barley taken from anywhere in the country – maybe even further afield. 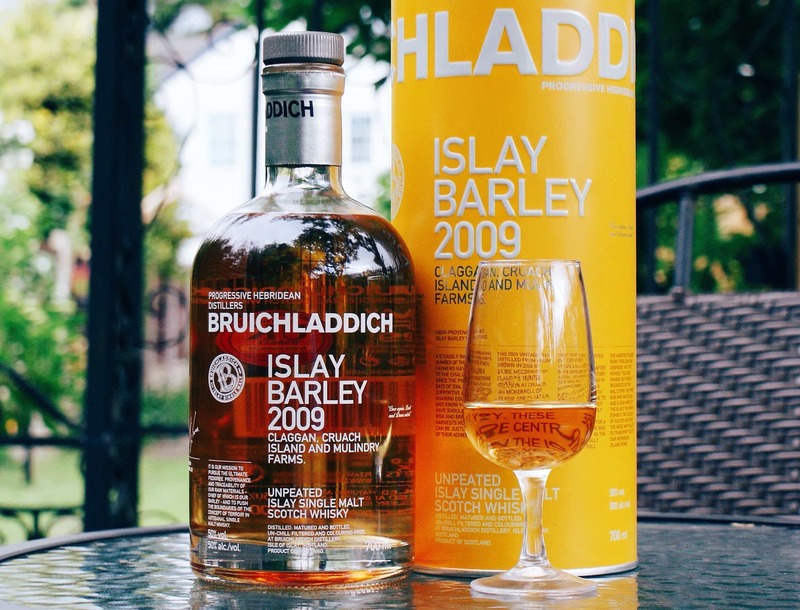 The Bruichladdich Islay Barley 2006 takes its barley from just one farm, Dunlossit Farm, on Islay. It is then distilled on Islay, matured on Islay, and bottled on Islay. This is very rare indeed, but all of this is done with a purpose: to give a genuine sense of terroir, or how a particular location can have an effect on a whisky. In the age of the mass market, that’s something to really appreciate. The bottle comes with all sorts of information on Islay Barley series: that once Islay was home to 20 distilleries. 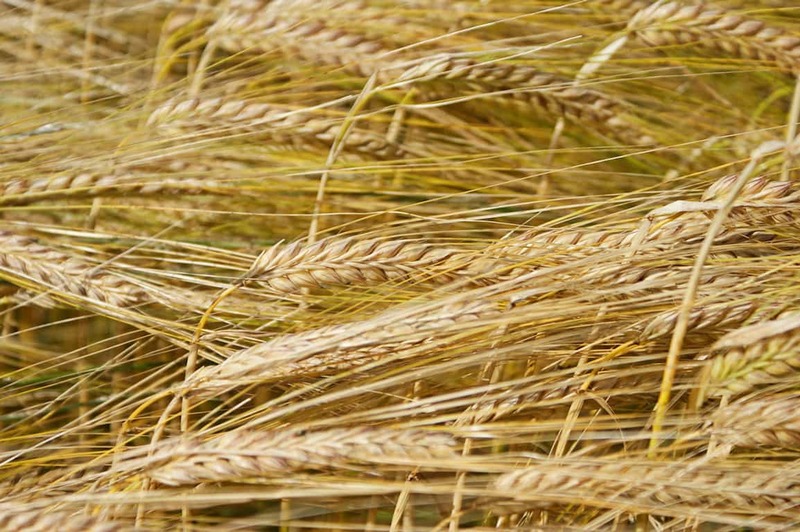 That due to the growing demands of whisky production, all barley was eventually imported and no more local barley grown after the First World War. 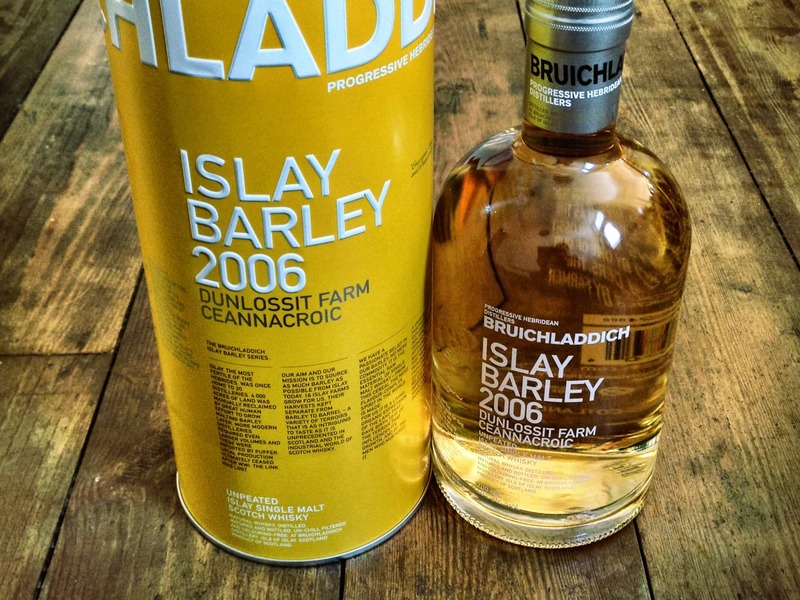 That now 16 Islay farms grow for Bruichladdich – how incredible is that for the local economy? That’s all very good, and it clearly is a success in going beyond the quotidian, I’m sure you’ll agree. It’s good for Islay to see one of the distilleries really get behind local talent, too. But what are the results of this aim for understanding Islay terroir? Colour: straw, pine table, pale gold. On the nose: a malt and syrupy, honey blend. Rich creamy, buttery malted barley there, not as dominant as the 2004 (no bad thing), but still integral to the whisky. Wonderful herbal, floral notes drift across an underlying sweetness. Cherry pie. A little brine there too. Bracing coastal walks. In the mouth: good god that’s lovely. Viscous, thick and juicy, without being too oily either. Everything is balanced so well, and with an astounding texture it’s tough to pick apart when one flavour ends and another begins. So there’s the malt tang, of course, but much more subtle than the 2004. Layer after layer of flavours begin to appear: apples, Sauvignon Blanc, a mild brie perhaps, lemons, eucalyptus honey, treacle sponge, just a gentle touch of ginger or nutmeg maybe, and the lightest touch of black pepper. But oh my god that velvety texture in the mouth is astounding. Much more complex than the 2004, as well. No gimmicks here, no rocket ships, no huge marketing campaign. This, for me, is what whisky is about: rawness of spirit, local community and appreciation for the land. And tasting bloody good to boot. Without a doubt a top whisky of the year for me. What Barley do you prefer, 2004 or 2006? Personally I prefer the 2006 Islay Barley. I think it’s got the edge on complexity. They’re very close though, so I’m sure you’ll enjoy both! Finally I bought Barlley 2004, because in my local whisky shop doesn’t arrive the 2006. Maybe are there some problems of distribution with the new owners ? Ah, good stuff. Well, if anything I’d say the new owners would have better distribution, since it is much bigger. Still, at least you got the 2004 – and glad you like it! Whiskyfun rates this 5/5. Are these Islay and Organic more fatter to regular Laddie’s? I think I mean mouth filling. My son bought me a bottle of this for my 59th birthday: what a splendid present! It’s lovely, though a touch sharp, but definitely something quite special. Apparently they made about 35,000 bottles of this. Count yourself lucky if you got one.